Another grotesquely grainy and originally underexposed Agfa transparency from my early collection of industrial images, but of historical value nevertheless. The Imperial Smelting Co.Ltd. at Avonmouth operated a 2’0″ gauge internal railway system as well as the standard gauge. 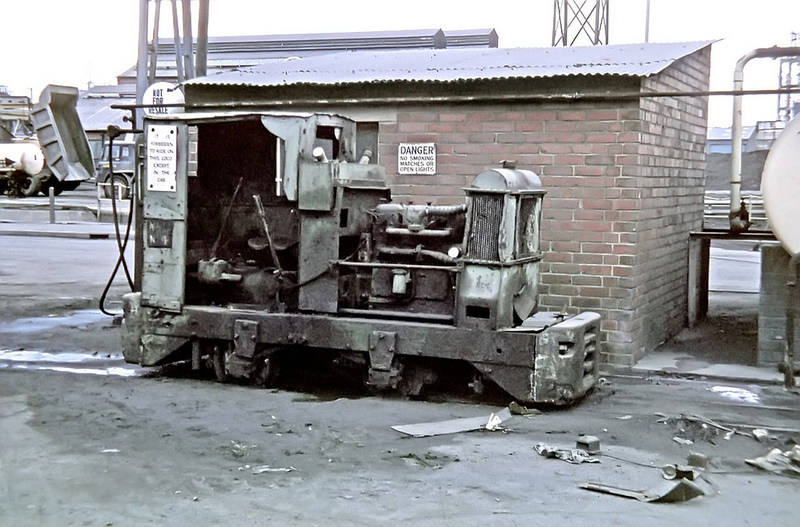 The oldest extant Ruston and Hornsby 4-wheel diesel mechanical at the smelter, ‘4’ works number 200743 built in 1940 a 33/40 HP version, had fallen into disuse by the time of my visit on 7th March 1970.